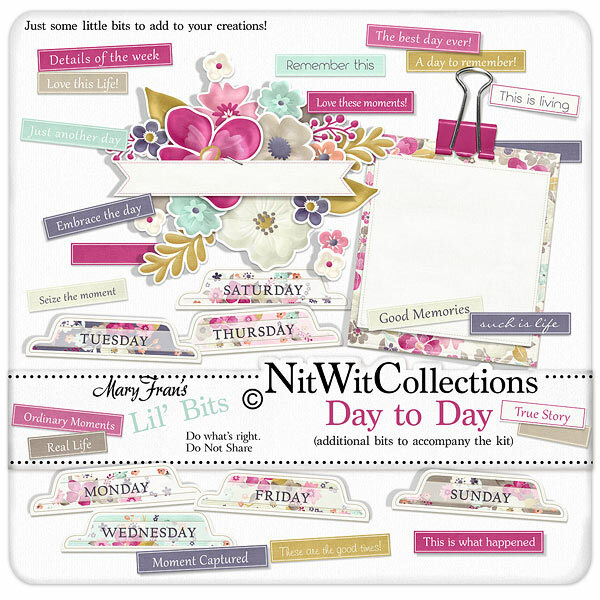 Lil' Bits "Day To Day" gives you the premade day to day digital elements such as days of the week tabs, a pretty flower sticker cluster with banner and some of the best phrases that we could come up with! Don't miss out on these digital elements as they are not included in the ELS "Day to Day" Collection so don't pass these by! 1 Clip mat - one idea is to place this underneath the clip and journal on here....but maybe you have your own idea on how to use this digital element!